Below are some of our frequently asked questions. If you have any other questions or concerns, please feel free to contact us via the web, or call the office @ 314-727-6000. Keep in mind this agency is NOT a law firm nor licensed to adjust claims. The agency responses are from observations, I have had over the past 30 years, and do not intend to replace any policy language. What do insurance companies look for in order to get the LOWEST price? STABILITY in an applicant. Excellent driving record and credit certainly helps, address is important and multi-policy(package policies) help. How much Renters insurance should I buy? If you lost everything(all your stuff) would $20,000 or $100,000 be enough to start over? That is how simple it is to figure out how much you need. Do I need to inventory my belongings? Yes and No. If you are robbed the police are going to ask you....What was stolen? Likewise, the insurance company will ask you to itemize what you lost? Yes is the best answer; however, people are very busy and don't have time. If that is the case, simply open your closet door and snap a couple pictures, same with office, living/family room etc. In the kitchen I'd suggest opening all cabinets and takin ga few snapshots. The pictures will help refresh your memory. If at all possible keep a copy of the pictures away from your residence, in event of a fire. Does my auto policy cover towing or car rental? Yes, if you purchased these. No if you did not purchase these? Does full coverage on an auto policy mean everything is covered? If you carry state minimum liability limits(25/50/10), with medical payments, comprehensive, collision, uninsured motorist, towing and car rental--yes this is full coverage; however, if you cause a 3 car pile up and and all cars are badly damaged and the occupants are injured badly I'm afraid then you do NOT have full coverage. In my judgement if you want FULL COVERAGE have liability limits of $500,000, $5000 medical payments, $500,000 Un & Under-insured Motorist limits with towing and over $35/day on car rental. 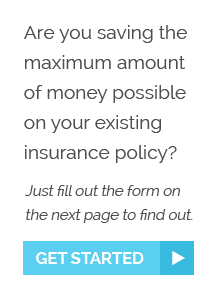 Once you have these limits take out an additional $1,000,000 umbrella policy. If you do all these things I can comfortably say you have full coverage. Do homeowner policies cover loss such as heavy rain-water getting into my basement? The answer depends on HOW did the water get into the basement? If the water seeped in through basement wall cracks then NO. If the homeowner purchased the Sewer Back Coverage and the water came up from sump pump area then YES; however, only up to the sewer back limit on your policy. Flooding is NOT covered by ANY homeowner policy in Missouri. This may seem obvious; however, making sure gutters and downspouts are pointed AWAY from the house. Don't be afraid to stand out in rain and watch the water flow from gutters, just to be sure they aren't clogged. Also if need to use a pair of binoculars do it. My husband has a life policy through his work, do I need a separate policy? Absolutely, the reasons are many. If he loses the job, he loses the life insurance. Often a work policy maybe for 1 or 2 times a spouses annual salary; therefore, if you can survive off a 1 or 2 years salary policy for the remainder of your lives then you do not need a separate life policy. I would say most families could NOT survive; therefore, why not supplement the work policy with a Level Term Life policy for $100,000, $250,000, $400,000 or more. If my tree falls on my neighbors house or fence who is responsible to pay for tree cleanup and repairs, mine or theirs? This is a frequent occurrence. As long as the tree was alive and it falls in a storm from my yard into your home I'm afraid it's your responsibility to turn into YOUR company. Now if I was sawing the tree down and it landed on your home, then MY policy pays for the damage under the liability portion. If you want to be neighborly I'd suggest you both turn in a claim and let the insurance companies deal with it. Can I buy earthquake(EQ) coverage for Home, Condo, Rental Home or apartment that you rent? Yes & No! Many insurance companies will NOT offer EQ coverage to a home that is built BEFORE 1960. I would recommend adding EQ to all home type of policies. Many of my clients simply do not want it. Others do want it; however, due to age of the home I can not obtain the coverage for them. Many do have the coverage and those people have between a 10-20% EQ deductible which applies separately to Dwelling, Other Structures and Personal Property. Condo owners typically can buy the coverage for their Personal Belongings; however, most companies do not include EQ damage in the Loss Assessment coverage area.